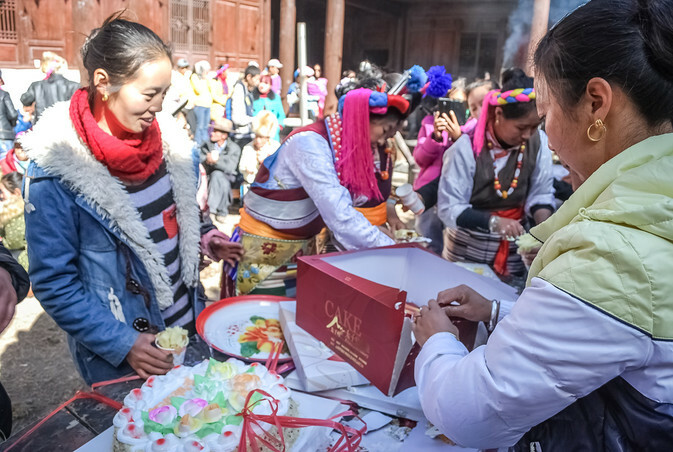 Nestled on the banks of the Upper Mekong River — or Lancang (澜沧江) as it is known in China — are several Tibetan villages of mixed religion where Buddhist and Catholic families live together and often join in each other’s festivals. While engaged in research on the history and budding economy of winemaking in this region, I was able to take part in the annual Christmas mass and festival in the village of Cizhong (茨中). Here, celebrations are a two-day event and the largest festival of the year for the area. First, a very short primer on the history of Catholicism in Yunnan’s northwest, and how the religious observance of Christmas became a major festival for local Tibetans: Yunnan’s official renaming of the nearby Zhongdian region as Shangri-La — based on James Hilton’s classic 1930’s novel Lost Horizon — actually gains a small bit of credence as the real location of Hilton’s story thanks to Cizhong and its nearby villages. In the book, the fictional Shangri-la is a mixed monastic community where Tibetan Buddhists, Chinese, and western Catholics all live peacefully in together. This is largely true in Cizhong today, though Catholicism historically faced a somewhat violent reception from some in the region, while other peopele openly welcomed it. 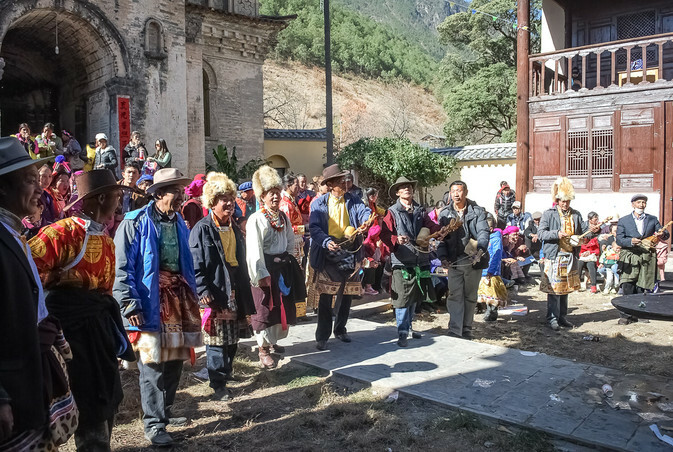 French Catholic missionaries first arrived in northwest Yunnan in the nineteenth century, and viewed their work as a gateway to expanding their teachings across greater Tibet. Never being able to reach very far into this isolated and at times violent country — often due to resistance from local Buddhist lamas — the French would eventually manage to set up a community of churches and convert many Tibetan communities in northwest Yunnan along both the upper reaches of the Lancang and Nujiang rivers. They were never quite able to penetrate much farther into Tibet. Even in these areas, religious crusaders at times faced violent repression from local religions leaders and in many cases even death. Yet the French persisted in their missions, and were later joined in the early to mid-twentieth century by request by a group of Swiss from the Great Saint Bernard Hospice high up in the Alps. These priests had already become quite famous for providing mountain rescues and services to Catholic pilgrims crossing the Alps en route to Rome. Their expertise in mountain travel and high-altitude living were crucial in helping to continue and eventually take over the work first begun by the French in Yunnan. 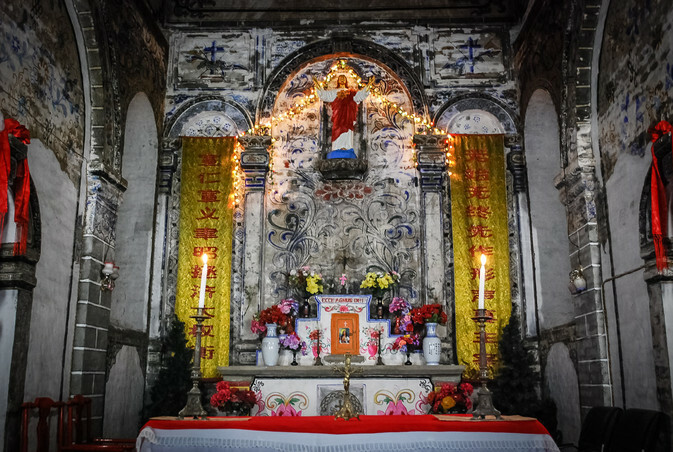 Today in Cizhong, where the original cathedral built by the French in 1905 still stands, about 80 percent of villagers still actively practice Catholicism. They are led by a Han Chinese priest from Inner Mongolia who arrived in 2008, sent by the Catholic Association of China. Prior to this time, the village had no priest, and so no formal masses were held after 1952 when the remaining French and Swiss Christians were expelled. 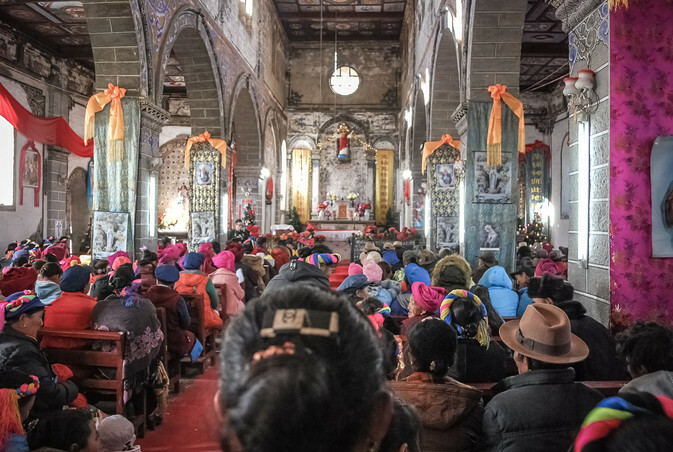 Villagers nonetheless maintained their religion and began to openly pray together in the 1980s after Deng Xiaoping lifted bans on organized religion put in place during the Mao era. 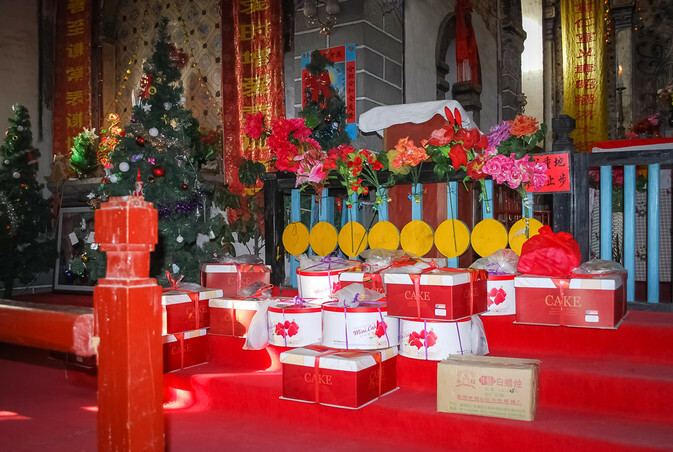 Christmas today in Cizhong is a major event, and the non-religious portions of the festival are in fact celebrated by both Catholics and Buddhists alike. Major preparations and community events for the festival began on the morning of Christmas Eve, when many villagers gathered together at the church to clean the building and decorate it for the festival. Lunch was made for those working through the afternoon, and then everyone returned home before dusk. The decorations set up in the church were predominantly what one might equate with a Western Christmas celebration: Statues of Mary and Joseph in shrines on each side of the altar were surrounded by strings of lights, and a similar statue of Christ was placed high up on the wall behind the altar for all to see. Several plastic Christmas trees which grace the inside of the church year round were also cleaned and redecorated with Christmas lights. 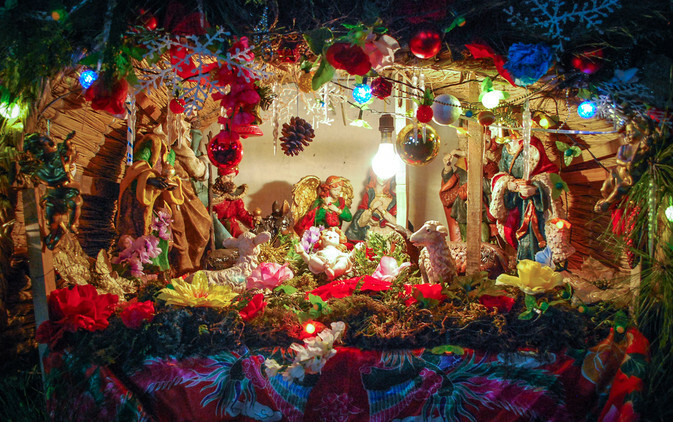 A very elaborate nativity scene was set up to one side of the altar, decorated with pine boughs, with lights on its roof. In addition to the boughs, the areas in the front of the church are also decorated with branches from a local broadleaf evergreen tree with red berries from the genus Photinia. 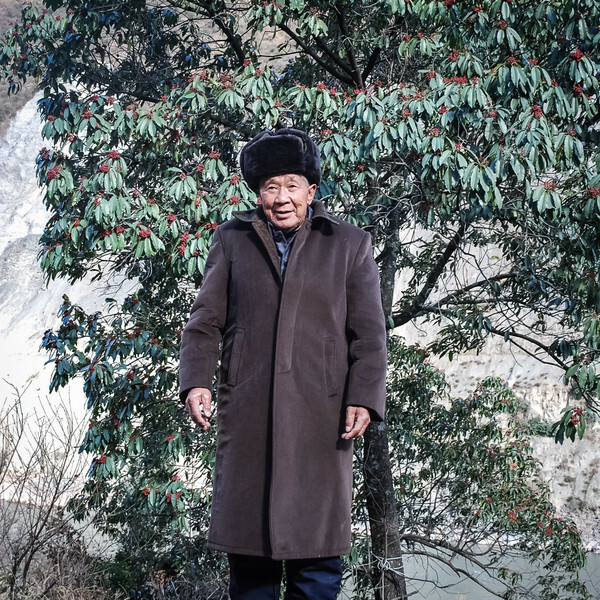 Local elders say they have called this plant shengdan shu — or ‘Christmas Tree’ — since the time of the French and Swiss fathers. Around 7pm, villagers slowly began to arrive and file into the church for the evening mass, which began this year around 8:30. It should be noted that Christmas seems to have become quite a publicized event in Cizhong, perhaps due to the attention it receives in tourism materials. The mass not only included Cizhong villagers but many foreign — particularly French — and Chinese tourists, photographers, and other academics including myself. Christmas Eve mass continued for just under two hours, after which everyone returned home until the next morning. Both Christmas masses, and particularly the morning mass, were much more extravagant than a typical Sunday service. Large numbers of villagers showed up from all over, dressed in their full traditional Tibetan regalia. This drew even more tourists. The Christmas morning mass — which actually didn’t begin until almost noon despite villagers arriving around 9am — also included a full processional composed of the priest and his assistants walking into the church in their robes, with candles, a cross, and incense censer. None of this is normally used for weekly services.The language of the mass in Cizhong is peculiar. Many familar Catholic songs sung by villagers are sung in Tibetan using the translations originally created by the French and Swiss. Conversely, the mass and bible readings themselves are conducted by the priest in Mandarin Chinese, so the service is quite syncretic and eclectic being Chinese with Tibetan chanting. Later an engaged couple walked down the aisle to receive a special Christmas blessing from the father. They were followed by a procession of children in traditional Tibetan clothing and Santa hats, followed by traditionally dressed women bearing gifts for Christ. The priest and his village assistants accepted the gifts and then placed them in front of the nativity scene that had been set up below and to the side of the altar. 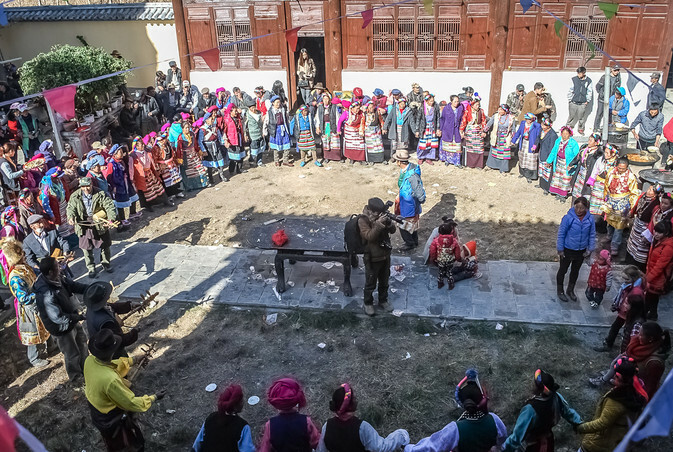 Following the Christmas morning mass, everyone — villagers, tourists, and anyone else in attendance — gathered in the courtyard in front of the church and began the afternoon festivities of drinking and performing traditional Tibetan dances and sings. During this portion of the day, Buddhist locals also arrived to join in the festivities. To begin, everyone first simply found a spot in the courtyard to enjoy the sun, the company of others and cake donated by all the village families. It was served followed by a choice of barley liquor — known as qingkejiu — mixed with meat, or a locally made rice wine called mijiu mixed with egg. After a short time, traditional circle dancing began, accompanied by singing and several men playing traditional string instruments called piwang. The singing is always done as a back-and-forth exchange, with men and women each singing separately while dancing on opposite sides of the circle which rotates around as more people join. While the merriment ensued, a lunch of several Chinese-style dishes was served in a small museum room next to the church. Here, several tables were set up and groups of locals and visitors rotated through to sit down and be served. After they finished, the tables were cleared and a new group welcomed in to eat. Dancing continued, and by this time many of the villagers had joined in. The men particularly all seemed to be sporting a bottle or can of beer. By around 5pm things began to wind down with most people returned home, while the tourists and other visitors headed back to their guesthouses. And with that, my Tibetan Catholic Christmas on the Upper Mekong came to an end. Brendan Galipeau is a PhD candidate at the University of Hawaii and an expert in the natural resource endowments of the Upper Mekong River.